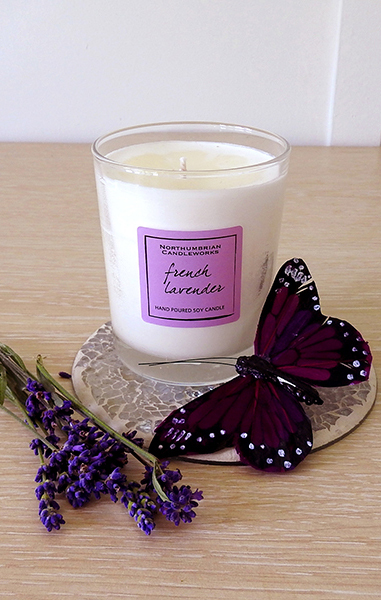 Scented candles are a wonderful addition to the ambiance and character of your home. It is worth remembering though that, having a naked flame, care should be exercised when using to avoid accidents. Please read through the following safety guidelines and follow when burning candles. Prior to use, please read and follow the manufacturer’s use and safety instructions carefully. Remove all packaging and labels before lighting your candle. Place candles on a stable, level surface. Always place candles on a non-flammable, heat-resistant surface – candles can become hot in use. Do not place directly on surfaces that may be damaged by heat such as polished finishes, wood, plastic or TV sets. Table mats are NOT suitable. Remove any excess wax from the wick before lighting. Before each light, ensure the wick is trimmed to 3-5mm. Ensure the candle is free from debris – including match or wick debris – before lighting. If the candle has been left out for long periods of time without a burn, ensure that the surface is clean and free from all dust & dirt, which can catch light. For candles that do not have their own holder, use candle holders which are specifically designed for candle use. Place burning candles at least 10cm away from other candles and ensure there is ample clear space above the candle for heat to disperse. Keep lit candles away from all flammable materials and accessories such as hanging fabrics, bedding, carpets and papers. Burn candles in a well-ventilated room, but keep away from draughts. If the flame becomes too high or flickers repeatedly extinguish, trim the wick and relight. Do not burn a candle longer than the manufacturers recommended time, or 4 hours – whichever is shorter. Don’t burn the candle all the way down. Extinguish the flame if it comes too close to the holder or container. For a margin of safety, discontinue burning a candle when 2 inches of wax remains or ½ inch if in a container. Never touch or move a burning candle. Always extinguish candles before going to sleep or when leaving a room. Make sure the candle is completely out and the wick is no longer glowing. Use a candle snuffer to extinguish candles. Do not blow them out, and never use water to extinguish a candle. Once extinguished ensure the wick is in the centre of the container, as wicks can move in a wax pool. After extinguishing, allow to cool completely before moving. Keep candle holders free from wax residue. Discard candle when burned down to ½ inch in height.